As there is one week left of 2018 it’s now a good time to reflect back at 2018. 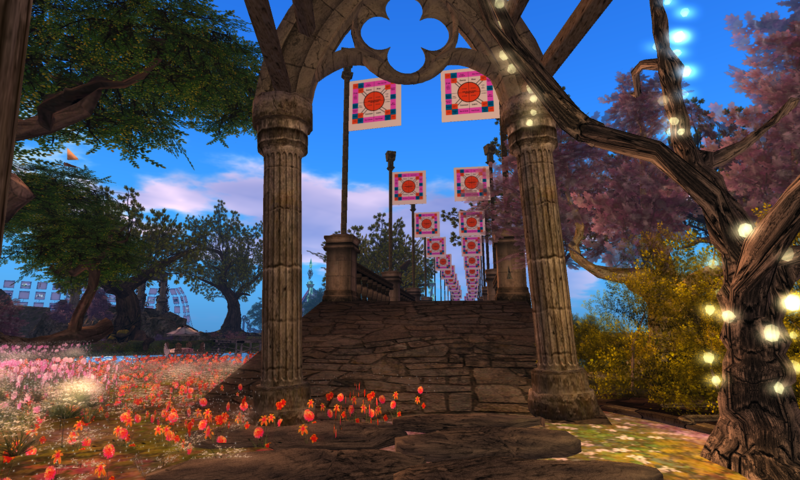 This is part 1 looking at the first six months of 2018 in Second Life, Sansar and OpenSim. There have been many great memories and some not so good moments this year. The year started with a bang with Pete Linden departing Linden Lab after nine years. Pete decided to move over to Facebook. Pete Linden served under four Second Life CEOs including Philip Rosedale, Mark Kingdon, Rod Humble and Ebbe Altberg. 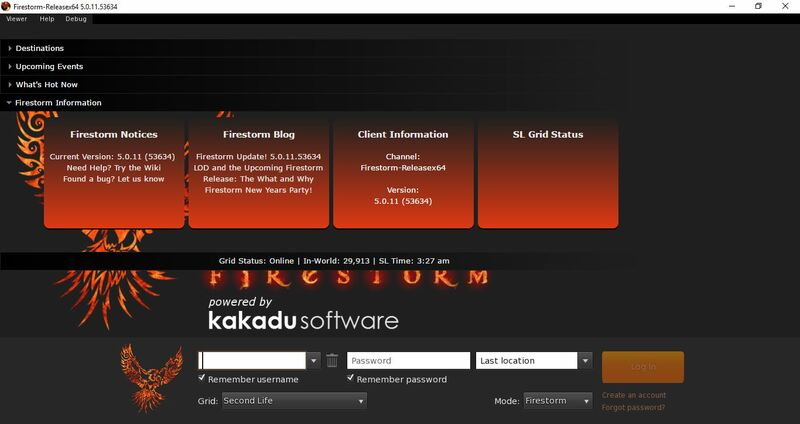 Firestorm released viewer update (5.0.11.53634) bringing the Asset-HTTP Project, an updated codebase 5.0.9, newer group abilities, Havok support for Windows & Mac versions and much more to the viewer. 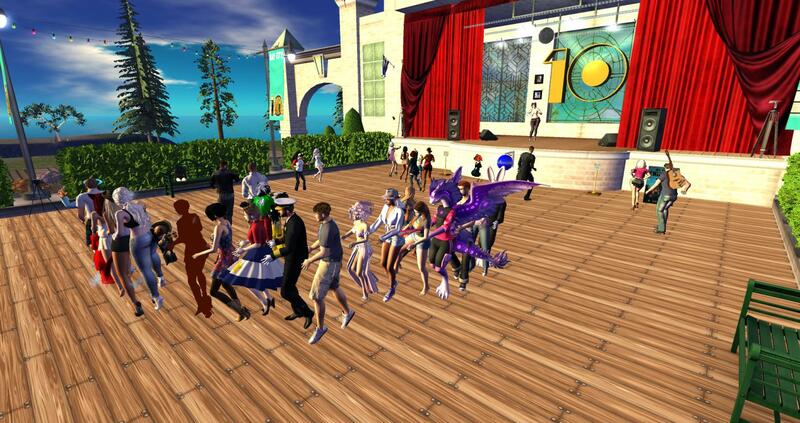 One Billion Rising opened in Second Life for 24 hours over four regions. Hundred’s of visitors attended and danced for hours. My blog reached 600, 000 hits and 700 blog followers which I was very proud about. I hope for more blog hits and blog followers during 2019+. Again thanks so much for subscribing and spreading the word this year. 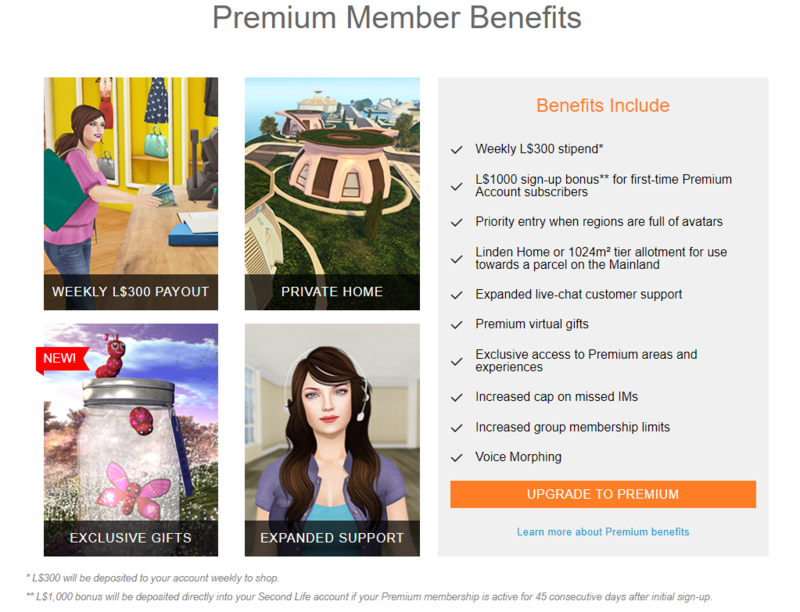 Linden Lab reduced mainland costs by 10 percent and doubled the mainland allotment for premium members from 512 sq to 1024 sq meters for free. Many have said for ages that the cost of land is too darn high in Second Life. 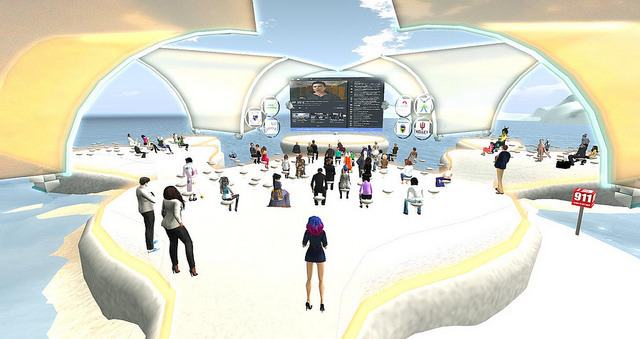 Ebbe Linden talked at VWBPE 2018 about VR, Second Life, Sansar, education, land prices and much more. There was no major announcements this year to mention but rather small updates. The attendance was pretty good this year for both inworld and online numbers. A few Lindens made a special appearance at the Main Auditorium and it’s always great to see them wondering around. Linden Lab announced that last names would return late 2018 however it’s now announced that last names have been pushed back into early-mid 2019. 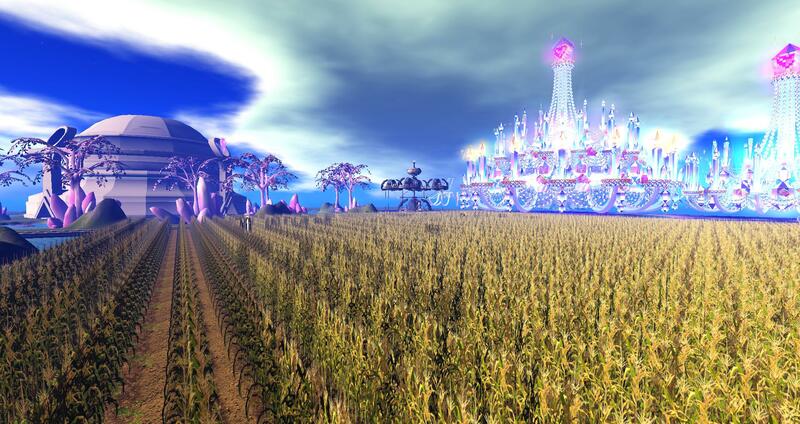 It was announced that OpenSim total land area was still increasing month on month. The biggest grid on OpenSim back in March 2018 was the OSGrid followed by the Atek Grid. Since the summer Hypergrid Business decided to stop publishing regular statistics. 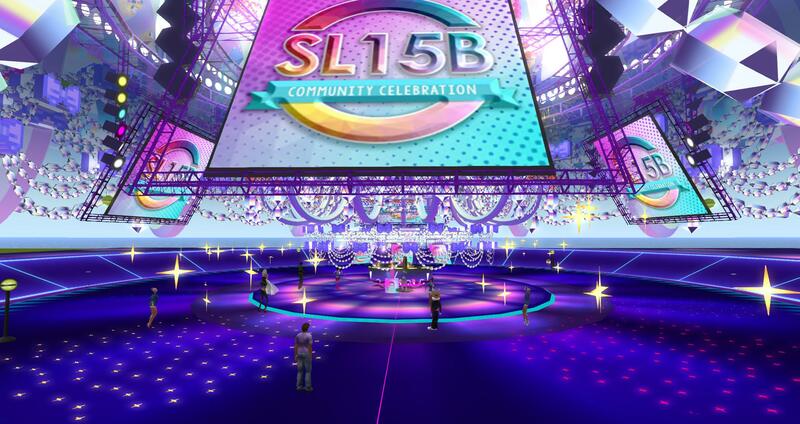 Linden Lab published a new SL15B in preparation for the 15th anniversary celebrations. 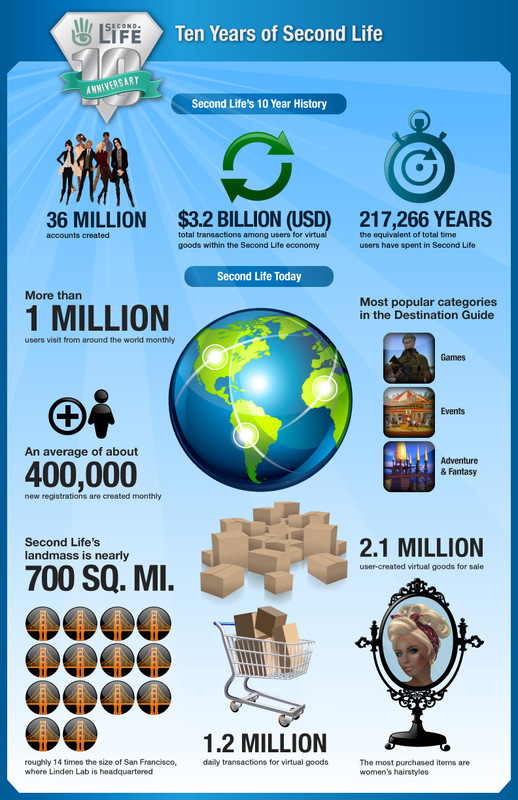 The new Infographic shows the total number of Second Life accounts there have been, the total time users have spent in Second Life. 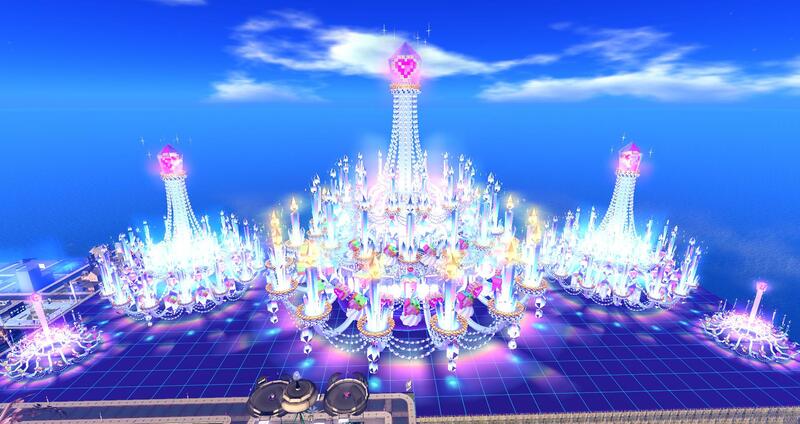 new registrations, virtual goods created in the marketplace, chat messages sent daily and the most popular categories on the Second Life Destination Guide. There was a special town hall event with Ebbe Linden which was pretty interesting on Second Life and Sansar developments. 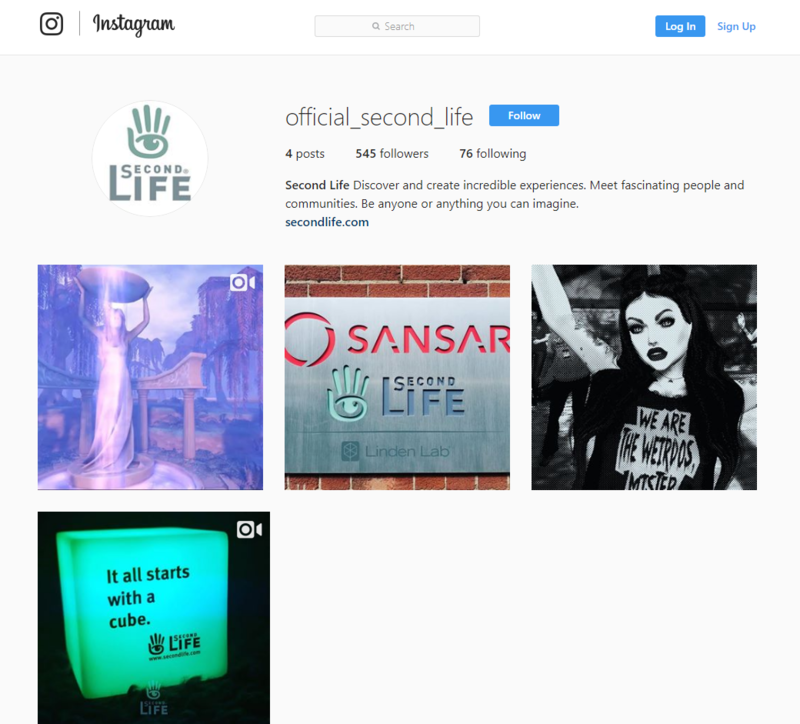 Linden Lab opened up a new Instagram account in celebration of the 15th birthday celebrations that took place in June 2018. Follow and discover the latest cool experiences. A pretty quiet month apart from Bay City 10th anniversary celebrations that took place in mid May 2018. The annual parade and live concert took place with big attendance numbers. The live performers did a great job this year and the organisers. It was sad to read that Hypergrid Business after 9 years was no longer posting monthly statistics of OpenSim grids. Maria Korolov said that Hypergrid Business will still be online and will be maintained. There may be new possible short news pieces or two each month. Ebbe Altberg and Philip Rosedale was featured on Second Life 15th birthday video. Ebbe was in the video speaking from Amsterdam. Ebbe mentioned that 68 million US dollars was paid to creators in 2017. 5 million virtual goods listed in the marketplace. Linden Lab are moving massive amounts of infrastructure into the cloud. At the end of the video there is a special surprise appearance from the founder of Second Life Philip Rosedale. 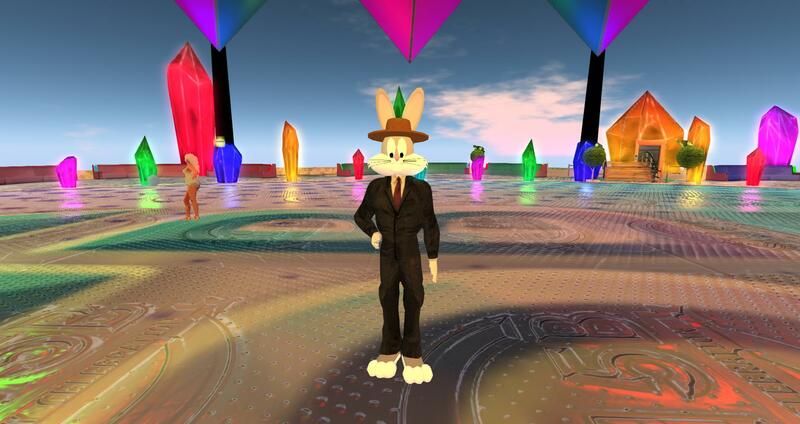 Second Life officially turned 15 years old on 23rd June 2018. 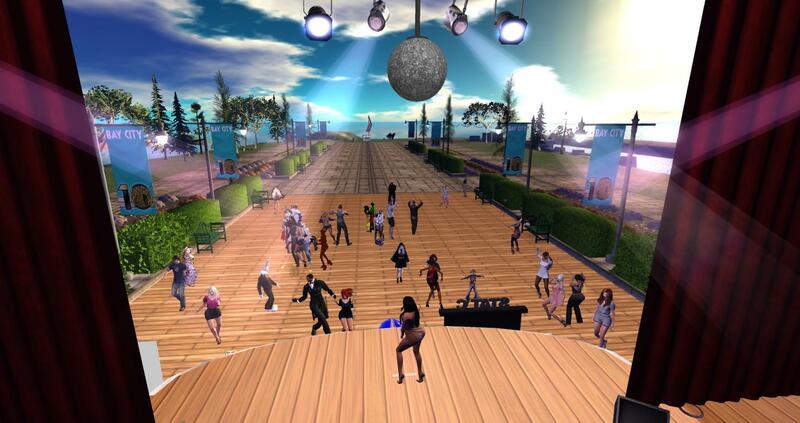 Second Life is still one of the best virtual worlds out there today and still going strong. Here’s to another 15 years and more! See part 2 for the last six months of 2018.